Summer is here and with it are the hot temperatures that lure us outside for summer vacations, pool parties, and long days at the beach. But be careful. According to the American Cancer Society (ACS), skin cancer is the most common type of cancer, and when having fun in the sun, it’s easy to forget that too much sun exposure can be very harmful to the skin. During these long summer days, even when you’re not at the lake, beach, or pool, the ACS recommends that you prevent burning by using plenty of broad-spectrum sunscreen (provides protection from both ultraviolet A (UVA) and ultraviolet B (UVB) rays) with a Sun Protection Factor (SPF) of 30 or higher, wear sunglasses that block UV rays, wear protective clothing, and seek shade when the sun is the strongest— between 10am and 4pm. This 1985 poster titled “Fry Now. 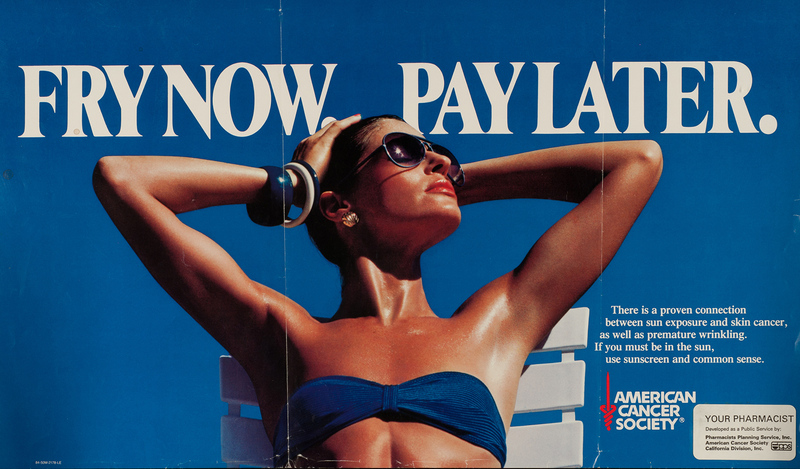 Pay Later.” from the American Cancer Society conveys an important message that is still valid today: that there is a proven link between sun exposure and skin cancer, so it is vital to use sunscreen and common sense when in the sun. 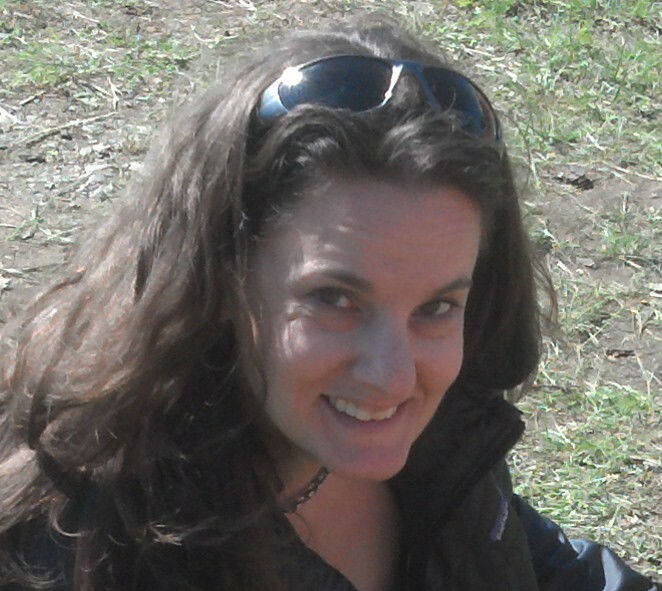 Ginny A. Roth is the Curator of Prints & Photographs in the History of Medicine Division at the National Library of Medicine.